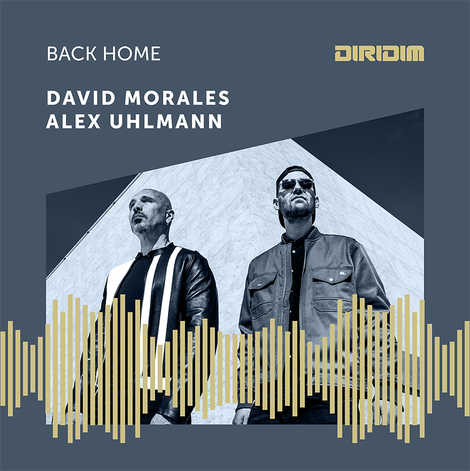 DIRIDIM is a brand new label from recording artist David Morales and launches with a new single from David himself, featuring Alex Uhlmann, and is taken from his forthcoming album, ‘Freedom’, due out later in the year. The label aims to be a musical hub that will embrace a wide range of sounds, with the initial release a manifesto of sorts, apparently putting the music first above hype, trends or passing fads. Special guest Alex Uhlmann is frontman of the Planet Funk band and the lyrics in ‘Back Home’ speak of a desire to connect wholeheartedly with fans through music. Native New Yorker David Morales is a long time house pioneer and probably one of the scene’s first superstars. He is a Grammy winner who has remixed and produced over 500 releases for artists including Mariah Carey, Britney Spears and Michael Jackson, as well as his own classics like ‘Needin U’ and various artist albums. He is also a veteran of the global club and festival circuit. This new single is an emotive house track with undulating drums. The vocals add a layer of romance and the synths and subtle percussion all help bring the groove to life. It comes with a Word Mix and Instrumental which are likely suited to different moments in the night.